Farrar, Straus and Giroux, 9780374167240, 128pp. The Guardians is an elegy for Manguso’s friend Harris, two years after he escaped from a psychiatric hospital and jumped under that train. The narrative contemplates with unrelenting clarity their crowded postcollege apartment, Manguso’s fellowship year in Rome, Harris’s death and the year that followed—the year of mourning and the year of Manguso’s marriage. As Harris is revealed both to the reader and to the narrator, the book becomes a monument to their intimacy and inability to express their love to each other properly, and to the reverberating effects of Harris’s presence in and absence from Manguso’s life. There is grief in the book but also humor, as Manguso marvels at the unexpected details that constitute a friendship. The Guardians explores the insufficiency of explanation and the necessity of the imagination in making sense of anything. Sarah Manguso is the author of a memoir, "The Two Kinds of Decay"; two books of poetry, "Siste Viator" and "The Captain Lands in Paradise"; and a short-story collection, "Hard to Admit and Harder to Escape." 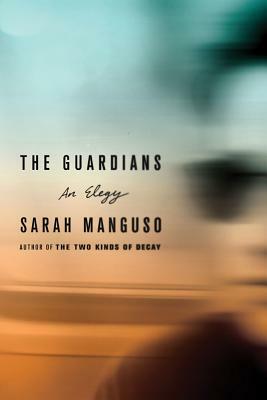 “In The Guardians, Sarah Manguso holds up two kinds of love: the love for someone willfully at one’s side (the new husband) and the love for someone willfully gone (the dear friend, a suicide). The limitations and complexities of romantic love played out in the present are here haunted on all sides by the simple expansiveness of platonic love, especially as seen through the lens of mourning. The living cannot compete with the dead. But marriage has its rights before any friendship. The mystery of where Manguso’s heart will land propels us through this vivid meditation.” —Sheila Heti, author of How Should a Person Be?